The quality of infrastructure services is key to the production and trade of goods and services, contributing to the productivity and competitiveness of an economy. Efficient infrastructure services also promote the wellbeing of the population by boosting labor productivity. Altogether, infrastructure investment tends to promote greater economic growth. Infrastructure provision involves investments in capital intensive assets with long term maturity and high levels of sunk costs. Thus, identifying the risk factors and barriers to the efficient provision of energy, transport, telecommunication and water services, as well as designing policies conducive to such initiatives are essential. Macroeconomic stability, improved governance institutions, and appropriate regulatory measures are some of the aspects which need to be addressed in order to avoid infrastructure bottlenecks that compromise long term economic growth. Political and regulatory matters are particularly relevant to the performance of infrastructure initiatives, especially to those that involve private sponsors, due to the large scale and scope of economies that are often present in most infrastructure ventures. This book aims to provide a thorough review of the fundamental issues being currently discussed with regards to initiatives in infrastructure sectors. 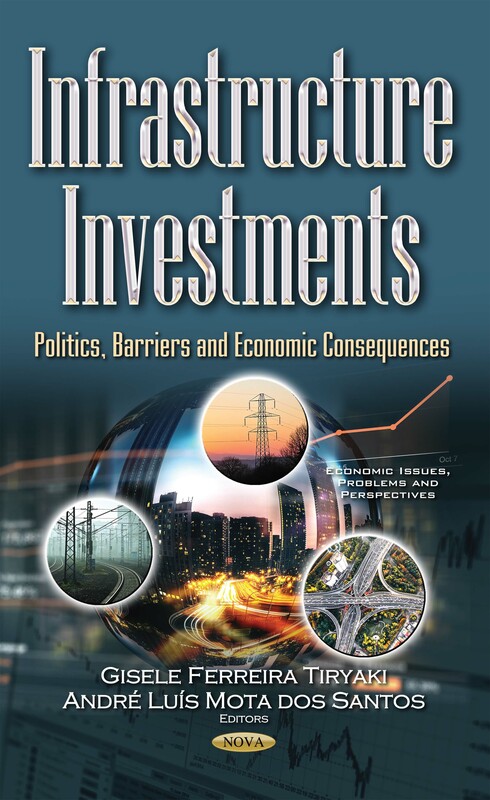 Relying on statistical and econometric analyses, as well as on case studies and in depth literature surveys, this text hopes to provide a diagnostic of the relevant aspects to be addressed when planning and executing long term infrastructure investments. Topics: Most chapters of the book discuss issues particularly related to the energy sector, which is always present in debates (chapters 2 - 5). Chapter 6, in turn, focuses on the transportation sector, discussing issues related to public policies and the future of transportation, which is also a hot topic. The book was written to professionals who work in infrastructure sectors, as well as academic people who conduct research in the field. Besides universities and companies operating in any of the infrastructure sectors, the book may also interest professional people at multilateral organizations, such as the World Bank, IFC, IADB, ADB, among others.